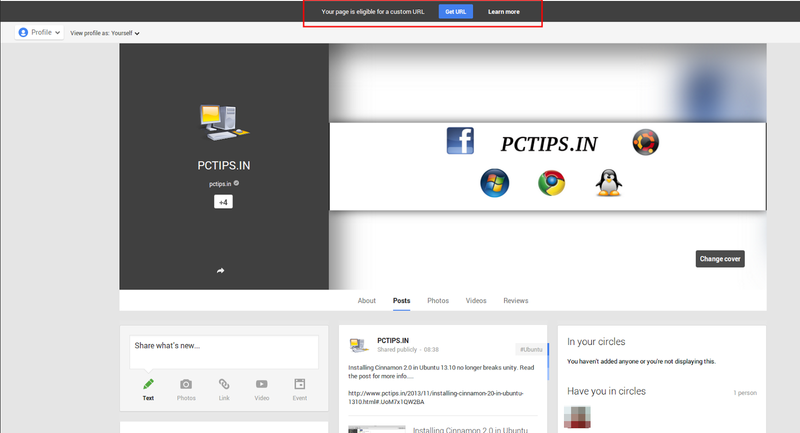 Yesterday, when i was checking my Google+ page, i saw some interesting message above my page and the message read " Your page is eligible for a custom URL ". Intrigued by the message I thought what could it be and just clicked on "Get now" button right next to it without hesitation or a second thought. 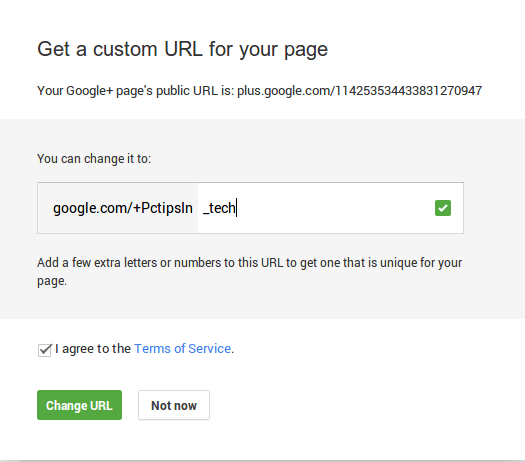 It seems the custom URL is prefixed by google.com/PAGENAME(OR)PROFILENAME and you should enter some additional characters after that. 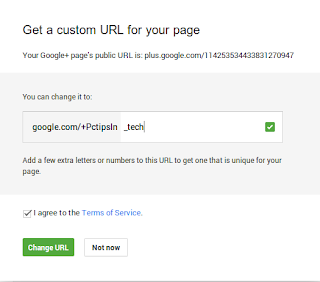 If the URL is available then you can use it as a custom URL for your page. Google will show the message like it did for me on top of your Google+ profile or page, if it meets its criteria. So are you ready to show off to your friends about the fancy names you got in your Google+ profile ? Good !! !